Join Sherry Turner DeCarava for an evening that celebrates the work of photographer Roy DeCarava and writer Langston Hughes. 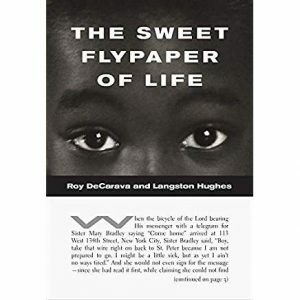 The Sweet Flypaper of Life, first published in 1955, is widely considered a classic of photographic visual literature. It was reprinted by public demand several times. This fourth printing, the Heritage Edition, is the first authorized English-language edition since 1983 and contains an afterword by Ms. DeCarava tracing the history and importance of this book. Roy DeCarava (1919–2009) produced a singular collection of black-and-white photographs of modern life that combine formal acuity with an intimate and deeply human treatment of his subject matter. Grounded by a unified theory of the visual plane, his work displays a subtle mastery of tonal and spatial elements and devotion to the medium of photography as a means of artistic expression. DeCarava created images that carry an emotional impact in their immediate relationship to the viewer, while also revealing less-than-visible terrains. DeCarava’s pioneering work privileged the aesthetic qualities of the medium, carrying the ability to reach the viewer as a counterpoint to the view of photography as mere chronicle or document and helping it to gain acceptance as an art form in its own right..
Langston Hughes (1902–1967) was a poet, novelist, playwright, and social activist. Known worldwide as a key figure of the Harlem Renaissance, Hughes’s work has been significant in introducing black history and culture into the corpus of American cultural history as well as inspiring with his humanistic concerns, writers in Africa, the Caribbean, Europe, and South America. While living in Harlem, Hughes maintained close relationships with other writers working in and around the city―Aaron Douglas, Zora Neale Hurston, Claude McKay, and Wallace Thurman were all considered friends and they would frequently gather to discuss politics, writing, and literature. Together, this close group of writers was instrumental in giving voice to the communities that would not accept persecution and marginalization. Hughes’s dispatches for the New York newspapers raised quotidian reportage to an art, filing moving descriptions of the famed Harlem Brigade who were martyred during the Spanish Civil War. 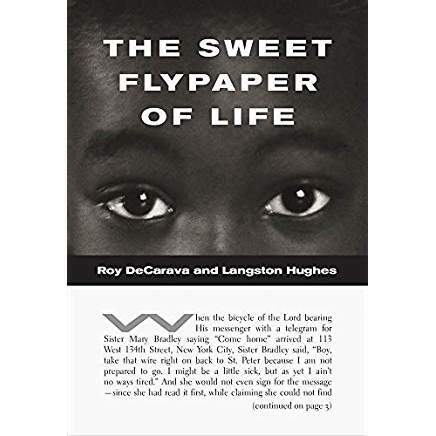 Later in his life Hughes turned toward collaboration, working with the German composer Kurt Weill on the 1947 opera Street Scene, with jazz musicians including Charles Mingus and with the photographer Roy DeCarava on The Sweet Flypaper of Life.